My name is Samantha Tolentino and I am from Long Island, New York. 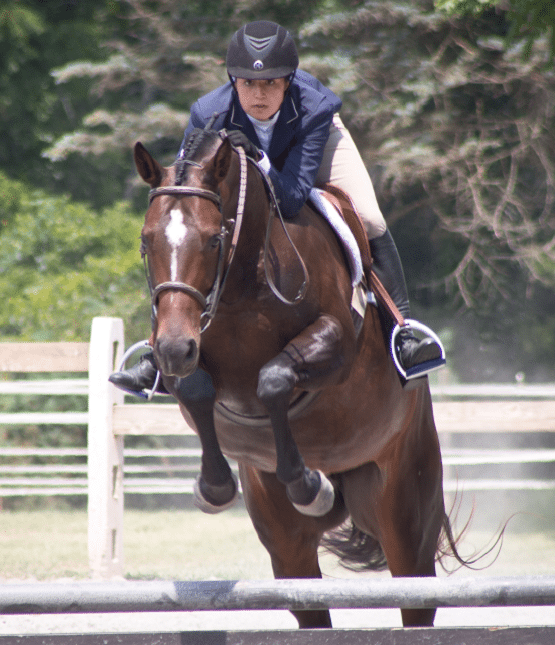 I have been riding for over 10 years and I am the President and Captain of the York College of Pennsylvania’s Equestrian Club/Team. I currently compete in the Southern Pennsylvania / Northern Maryland area showing Hunters and Equitation classes with my lease mare, an 8 year old Registered Quarter Horse named Just A Bunch of Buttons (Buttons). 2017 will be a big year for me, I’ll be graduating college, moving to a different state, starting my career, and hopefully purchasing Buttons. On top of it all I will still be actively competing in local circuits, qualifiers, and once again KILE (Keystone International Livestock Expo). This season I am aiming to place higher overall in the Blue & Gray Circuit as well as qualify for the Colonial Classic for the third year in a row.